Legendary opera star Jessye Norman will headline the Atlanta Music Festival’s Gala Concert on Nov. 18 at Glenn Memorial Auditorium. Photo by James Alexander. The 2016 Atlanta Music Festival, which runs Nov. 14-18, will blend classical and contemporary music with events that explore the evolving racial and social landscapes through the arts, culminating with a gala concert at Emory’s Glenn Memorial Auditorium. 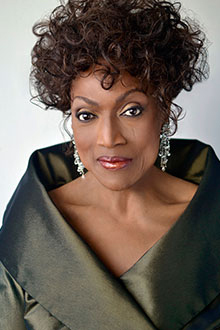 Legendary opera star Jessye Norman will headline the Nov. 18 concert, which also features Pulitzer Prize-winning civil rights author and scholar Taylor Branch, Atlanta tenor Timothy Miller, the Morehouse and Spelman college glee clubs, Emory’s Vega String Quartet and the Meridian Chorale. A native of Augusta, Georgia, Norman is a five-time Grammy Award-winning dramatic soprano who has received the Kennedy Center Honor, the nation’s highest award in the performing arts, and the National Medal of Arts. She also serves as an honorary ambassador to the United Nations. Taylor Branch, an Atlanta native, is best known for his landmark trilogy on the civil rights era, “America in the King Years.” The first book in the trilogy, “Parting the Waters: America in the King Years, 1953-63,” was awarded the Pulitzer Prize in 1989. Successive volumes also won critical and popular acclaim. The Gala Concert begins at 7 p.m. General admission is $25; student tickets are $18. For more information, or to order tickets, call 877-725-8849 or visit here. Founded in 1910 by the Rev. Henry Proctor, pastor of Atlanta’s First Congregational Church, the modern Atlanta Music Festival is rooted in early efforts to unite black and white Atlantans through music. The original event was a classical music festival, and over the years it has remained committed to affirming the contributions of African Americans to the arts and deepening the understanding of what it means to be American. “The Music and the Peoples Is The Same: Arts, Race and Social Transformation,” a discussion about how the changing ideas of race and identity reflect in and affect art, will be held at 4 p.m. Nov. 17 in Cannon Chapel. The session features historian and author Branch and Emory scholars Brenda Bynum, professor emeritus of theater studies; Dwight Andrews, associate professor of music; artist-scholar Fahamu Pecou, a PhD student in the Laney Graduate School; and Carlton Mackey, director of the Ethics and the Arts Program for the Emory Center for Ethics. “Composers’ Forum: Color, Composition and Change,” will be held at 3 p.m. Nov. 18 in the Oxford Road Building at Emory. The session features Andrews, AMF artistic director and pastor of Atlanta’s First Congregational Church, and Morehouse music professor Robert Tanner leading a panel discussion with Hailstork and other prominent composers on the composer’s role and responsibility to art and social change in today's culture. All public events, except the gala concert, are free. For a full festival schedule, visit here.